Yes, it was Woman of the Year week in Harvard Square. And those boys in the Hasty Pudding really know how to pick them. 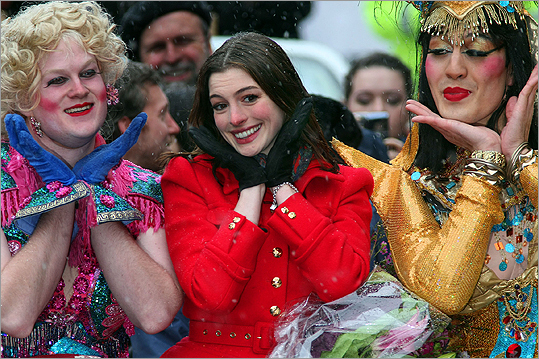 This year's Pudding Pot kisser is Anne Hathaway. We're looking forward to seeing her as the White Queen in Alice in Wonderland, scheduled to be released to theaters in 3-D on March 5.